Have you ever noticed that so many of our special occasion holidays are centered around food? Halloween, Christmas, Valentine’s Day – all of these special holidays include food as a very cultural and important part of the celebration. In working with my nutrition counseling clients, I understand how some people come to dread these types of holidays. The pressure to be around so many foods we categorize as ‘bad’ or ‘unhealthy’ can be too much for some people to enjoy holiday. But, just like anything, it’s all about perception, and I think holidays like this are a magical time to show someone how much you care. Food is a very powerful human connector: it has the ability to help us feel loved, to feel connected, to make memories year after year. It’s important to keep in mind that it’s not always just the food itself that helps to make our celebrations special. Sometimes it is the act of taking the time to make something for someone else, or perhaps it is the act of being in the kitchen and cooking together that creates those warm, fuzzy feelings. RELATED: Looking for more Valentine’s Day Treats? Check out these Plant-Based Valentine’s Day Desserts! Chocolate Covered Strawberries are truly the signature dish of Valentine’s Day, and for good reason. Chocolate has a long history of being one of the most comforting and celebrated foods for special occasions, dating back hundreds of years. It has also been claimed to be a aphrodisiac, setting chocolate up to be the star of any Valentine’s Day celebration. From their sweet taste and delicate aroma to their vibrant color and juicy flesh, fresh strawberries are equally beloved. When they were combined by a woman named Lorraine Lorusso in the 1960s, the decadent chocolate covered strawberry was created and became an instant success. So what could possibly make this already irresistible treat just a little more special? Edible. Rose. Petals. Every year over 110 MILLION roses are sold just for Valentine’s Day, a traditional and romantic gesture to show someone how much they are loved and appreciated. But did you know that all rose petals are edible and can add a unique, sweet aroma and taste to any dish? Whether you choose to dry your own rose petals yourself or to purchase some for your next project, these beautiful, sweet flowers add more than just a pretty garnish to your special treat. 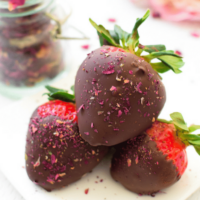 The health benefits of both chocolate and strawberries have been studied over the years, and we know that both provide some pretty impressive health benefits, making this dish a perfect way to celebrate your loved one this holiday season. 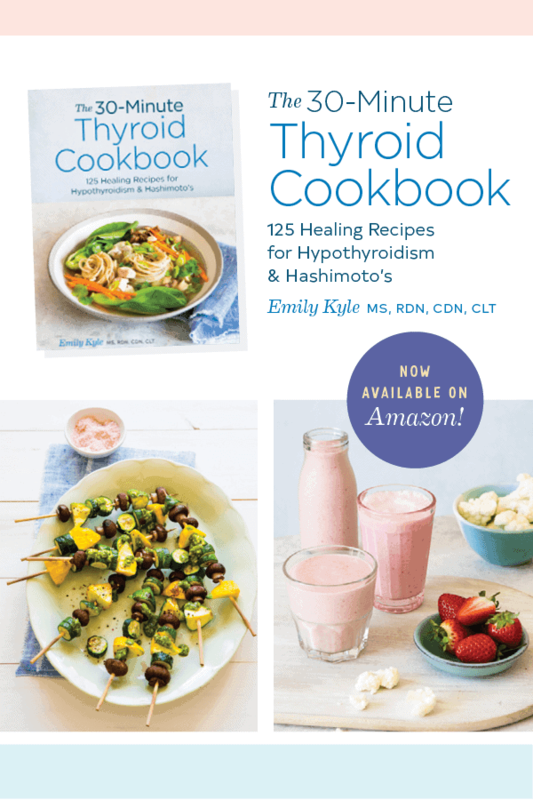 For this recipe, you’re more than welcome to choose any type of chocolate you like – from Enjoy Life Foods Vegan Chocolate Chips to a high quality, Specialty Dark Chocolate, the choice is all yours based on your preferences and dietary needs. Most people joke about chocolate being healthy, but there is actually some validity to those claims mainly focused in small amounts of high-quality dark chocolate. Sourced directly from a plant, the Theobroma cacao tree seeds, dark chocolate has the ability to retain some of its antioxidant properties which protect from disease-causing free radicals. New research and some studies have also shown that chocolate has the ability to improve heart health, lower cholesterol, low blood pressure and even have a positive impact on our cognitive function. It is widely known and accepted that Strawberries are a generally healthful food, and for good reason. Strawberries, like most all berries, boast a high antioxidant content in addition to their impressive nutrient profile. From the dietary fiber that helps to keep you full and regular, to the impressive nutrients like vitamin C, folate, potassium, manganese and magnesium that help the body to function efficiently, there is no denying the power of these tiny berries. In The Millennial Garden, we grow our own strawberries, but they are only available in the spring and summer. I know from experience how delicate these berries are and how temperamental they can be to grow, which is why it comes as no surprise that strawberries remain at the top of the pesticide residue list. Growing your own strawberries is great, but not realistic for everyone. If you can, I would opt for organic strawberries whenever possible. However, I always, always, always want to remind people that the health benefits of eating non-organic strawberries outweigh the hazards of consuming non-organic strawberries or not consuming strawberries all together. I purchased my edible rose petals here, although you could just dry your own. Because these petals are composed of nearly 95% water, they do not contain very much nutrition, however they do contain some vitamin C. It is unlikely that you will use enough to see any real benefit. 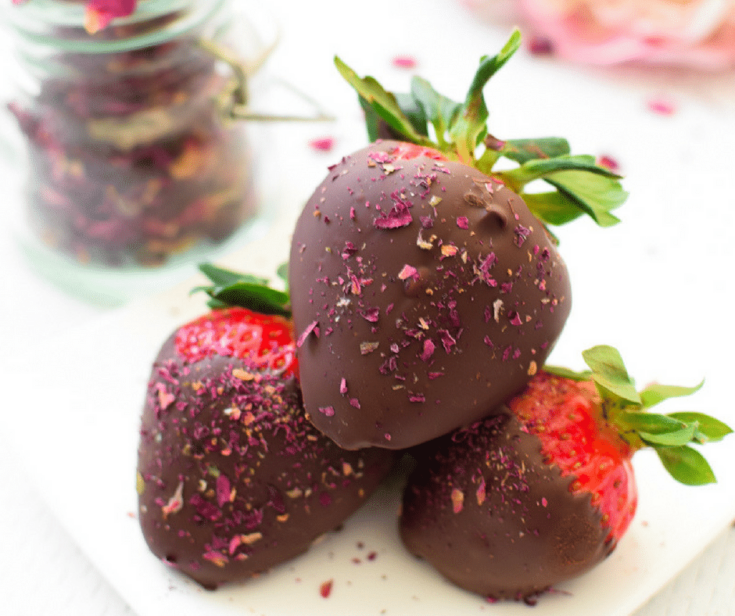 These Edible Rose Petal Chocolate Covered Strawberries are naturally vegan, gluten-free, and ready in less than 5 minutes. Wash and pat dry your strawberries well. Set aside. In a microwave safe bowl, combine the chocolate chips and coconut oil. Microwave 60 seconds. Remove and stir. Continue to microwave on 30 second intervals until smooth. Gently dip the strawberries into the chocolate, letting the excess chocolate run off before setting on the lined baking sheet. Sprinkle edible rose petals over the chocolate while it is still wet. Repeat until all strawberries are covered. GORGEOUS! I seriously love these. So perfect for Valentine’s Day! One of my favorite teas at my local coffee shop has rose petals. Soooo good. And now these are obviously a must as well! Thank you so much! So easy to DIY! Such a creative way to dress up the classic chocolate covered strawberry! They are perfect for Valentine’s Day! The edible rose petals take these over the top! Such a perfect treat for Valentine’s Day! These are beautiful!! My girls and I love edible flowers and grow our own in the summer. We just made some chocolate strawberries too, so simple and delicious! What a simple, but stunning, idea! I’ve noticed the use of rose petals by more chocolatiers lately – why not use them at home! The quintessential Valentine’s Day dessert! But those rose petals make it even more special!